No one can be an expert on grief, but within this book Jeff provides support and guidance from someone who has been there. 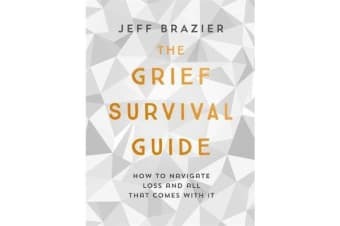 Accessible and hands-on The Grief Survival Guide offers practical advice on everything from preparing for the eventuality of death, managing grief, how best to support family and friends, and moving forward. There is no ‘one size fits all’ approach so instead Jeff teaches us that the best we can do is understand, cope and survive.